Secure storage for de-icing salt/grit, ideal for locating in areas prone to misuse. 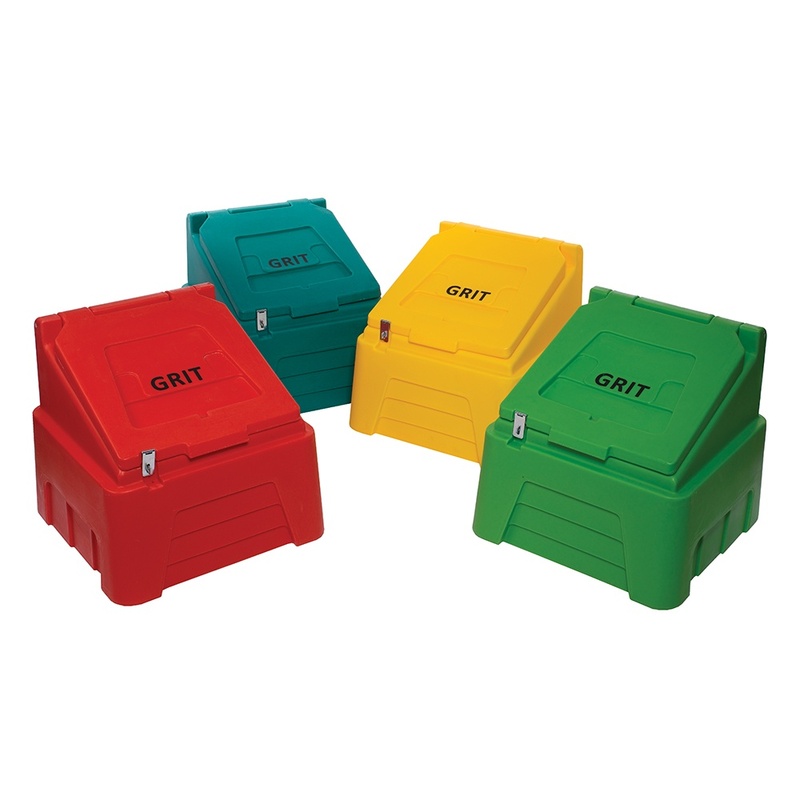 Hinged lids keeps salt/grit fully protected from the elements. Fitted with an electro plated hasp and staple which will not rust (padlock not included). Text GRIT is moulded into the lids, so will not scratch off. Available in Yellow, Lime Green, Dark Green and Red.